Visit the NEWS section below for upcoming events and dates. For the latest news and information, please follow us on Facebook! Just Dance is Central Louisiana's premiere dance studio. We offer a variety of dance subjects including Jazz, Tap, Ballet, Pointe, Lyrical, Hip-Hop, Tumbling and Creative Dance, which are taught in a positive atmosphere with a direct emphasis on the education. Just Dance accepts students ages 18 months to adult with beginner, intermediate and advanced classes. We keep our class sizes small in order to offer more personalized, individual attention to each student. Our dedicated staff consists of well-trained, motivating dance educators who specialize in the style of dance they teach and take great pride in the work they do. 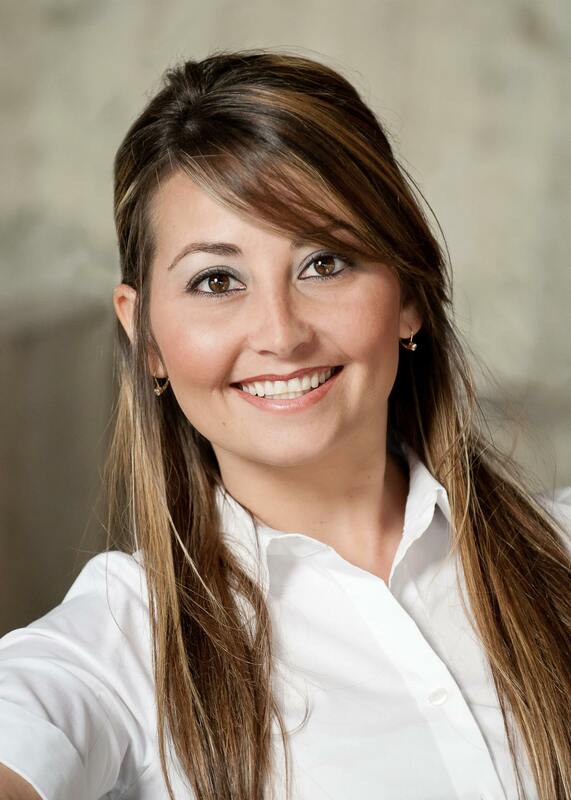 Jennifer Rachal, owner of Just Dance, is a native of Alexandria. She trained at The Dance Experience under the direction of Michelle Friede and performed and competed in and out of state starting at the age of eight. Jennifer attended Alexandria Senior High School where she was a member of the A.S.H. Troydolls for three years. She served as co-captain her junior year and as captain her senior year. Jennifer had the honor of performing in the Macy’s Thanksgiving Day Parade in 1989. Over the years, Jennifer has taken classes at Broadway Dance Center in New York and has trained with some of the world’s top choreographers and instructors, including Brian Friedman, Tyce Diorio, Mia Michaels, Dave Scott, Chris Judd, and Tabitha and Napoleon D’umo. In 1999, Jennifer was the choreographer and a performer with the Alexandria Warthogs pro-am ice hockey dance team, The Thunderbolts. In 2000, she was the choreographer and a performer with the Rangers pro-am indoor arena football team’s cheer/dance team, The Rangerettes. From 2000 through 2005 Jennifer was the coach and choreographer of Dance Team 2000 at Vicki’s Dance Centers. During that time, Jennifer won numerous awards for her choreography and Dance Team 2000 won performance awards at Showstoppers, Dance Makers Inc., LA Dance Magic, Applause, and International Dance Challenge. Her dance routines won national titles at both Universal Studios in Orlando, FL in 2002 and at the Cashman Convention Center in Las Vegas in 2003. The National Dance Alliance awarded her the Grand National Champion Choreography Award in 2003. In April of 2004, Jennifer choreographed and performed with Royal Caribbean’s Stars at Sea. Jennifer, along with Kayla Fung, choreographed for Louisiana Tech’s competition dance line in 2005, winning first place at nationals. She has been the choreographer for the Distinguished Young Women of Louisiana (formerly known as Louisiana Junior Miss) program since 2005. Jennifer was the choreographer for the A.S.H. Troydolls from 2010 through 2014, winning local, state, and national titles. She has choreographed for the Just Dance Company for the past 12 years, winning numerous awards for her choreography. In 2012, Jennifer took 17 of her dancers to New York to perform in the Macy’s Thanksgiving Day Parade. She returned to New York in 2016, this time accompanying 13 Just Dance students who performed in the Macy’s Thanksgiving Day Parade. Jennifer’s students have been selected to perform in dance projects and workshops both in and out of state. Several have gone on to dance in college and also professionally. Jennifer is proud to have participated, along with her students and members of her staff, in the Untapped Together Campaign. In August 2016, the Untapped film crew visited Just Dance to film participating students while they danced routines choreographed by Jennifer and two other faculty members. Untapped compiled and edited footage from dance studios across the nation and screened the completed film in movie theaters in February 2017. Jennifer is the mother of three and resides in Alexandria with her husband and two step-daughters. She is the proud Gammy of two granddaughters, Kiri and Miley; one grandson, Canaan; and a step-grandson, Bentley. 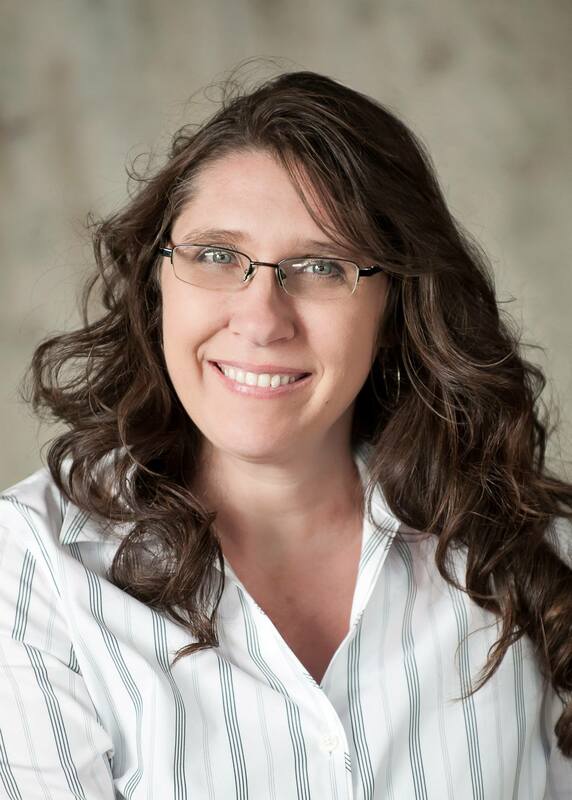 Jennifer is extremely proud to have built her successful dance studio from the ground up. She says that it is gratifying to see the positive contributions that Just Dance makes in the lives of its students and also in the local community. Kayla has been dancing since the age of three. Her love for dance has taken her many places, including Florida, New York, South Carolina, Nevada and Texas. She says that dance has instilled poise, technique and discipline and has helped make her the person she is today. At a very young age, Kayla realized that her favorite subject in dance was ballet. It is the one subject that has motivated her and that she has devoted all her time to practicing. She is proud to have the opportunity to pass on her knowledge of ballet to her students. As Kayla grew up, she found another style of dance that she was passionate about: lyrical. She says that she enjoys all areas of dance, but ballet and lyrical are her absolute favorites. Kayla's dance career has afforded her many opportunities including performing at the Macy's Thanksgiving Day Parade, competing in national competitions throughout the United States, and choreographing classical and contemporary ballet pieces for her students at Just Dance. She lists being the Director of Ballet and Pointe and the Director of Just Dance for a Cause as some of her greatest accomplishments. In August 2015, Kayla completed The Ballet Blog / Perfect Form Physiotherapy’s Level I Teacher Training course taught by Lisa Howell. The course is designed to give dance teachers a deeper insight into the mechanics of dance and the skills to correct technique issues and prevent injuries. Kayla is also proud to have taken classes from some of the world's greatest dancers including Joe Tremaine, Doug Caldwell, Frank Hatchett, Jerry Rose and Desiree Robbins, to name a few. These great teachers/performers have instilled in her a passion to continue to learn and to dance. It is that same passion that she wants to give to her students. She hopes that they will keep trying and continue learning as long as they can! Rená is a native of Alexandria. She is the daughter of Frank and Marie Crooks. She has been dancing since the age of two. Rená studied dance under Susan Hussey, Talent, Inc. for approximately 12 years. She was a member of the Junior Company for two years and the Senior Company for four years. They won numerous awards at conventions all over Louisiana. In 1989, they were elected to compete in New York City for a National Title sponsored by the Dance Educators of America. They won first place in the tap and choreography divisions and also received the overall highest score. While in New York, the Senior Company had the opportunity to dance with the Rockettes at Radio City Music Hall. Rená was Susan Hussey's teacher's assistant for her last six years of dance before going to college. She graduated from Alexandria Senior High School and was on danceline for three years. In 1988, the Alexandria Senior High Danceline won the opportunity from Universal Dance Association to compete on ESPN in Orlando, FL in both Kickline and Jazz Divisions. Rená taught dance at Northwestern State University in the Theatre Department during 1990 and 1991. Rená is proud to have coached The Just Dance Company Dancers in tap for the past 12 years. In that time, her choreography has won numerous judge’s awards and choreography awards. Rená is a graduate of the University of Louisiana at Monroe with a Master's Degree in Criminal Justice, minoring in Psychology and Sociology. She has two beautiful children, Madison and Cody Michael. Rená is currently working at Pinecrest Developmental Center as a Team Leader Coordinator in the Psychology Department. She has worked for the State of Louisiana for 20 years. Katie is a native of Pineville and graduated from Pineville High School in 1993. She began her dance training at the age of three under the direction of Carol Swilley at Pineville Dance Academy. Katie later performed and competed as a company member at The Dance Experience in Pineville under the direction of Michelle Friede. She is a graduate of Louisiana State University at Alexandria. Katie's love for dance is rivaled only by her love for children. She has spent many years caring for and interacting with children, both as a childcare provider and as a mother. Katie is very excited to have the opportunity to pursue two of her greatest passions at the same time in her Wee Dance, Teeny Tiny Dancer, Tap & Ballet, and Adaptive Dance classes. Katie is a member of both the National Dance Education Organization and the International Association for Dance Medicine & Science. In August 2015, she completed The Ballet Blog / Perfect Form Physiotherapy’s Level I Teacher Training course taught by Lisa Howell. The course is designed to give dance teachers a deeper insight into the mechanics of dance and the skills to correct technique issues and prevent injuries. In April 2017, Katie attended Progressing Ballet Technique's Teacher Workshop to receive her certification to teach all three levels of PBT's training program. In July 2017, she attended Boston Ballet's Adaptive Dance Training Workshop to learn strategies for teaching dance to individuals with disabilities and techniques for implementing Boston Ballet’s Adaptive Dance program. 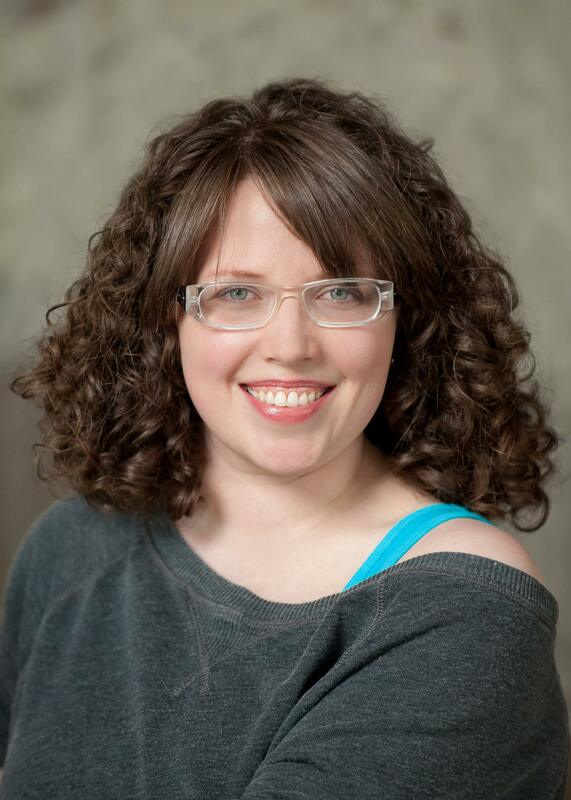 Katie is currently working on teaching certifications through Rhythm Works Integrative Dance and International Dance Teaching Standards and is continuing further dance education training through NDEO's Online Professional Development Institute. Katie is married and the mother of one. In addition to dance, she has taught drama classes and drama summer camps for children ages three through six. She has also served on the Board of Directors for The Rapides Exploratory Education House (T.R.E.E. House) and Red River Dance Theatre Company. 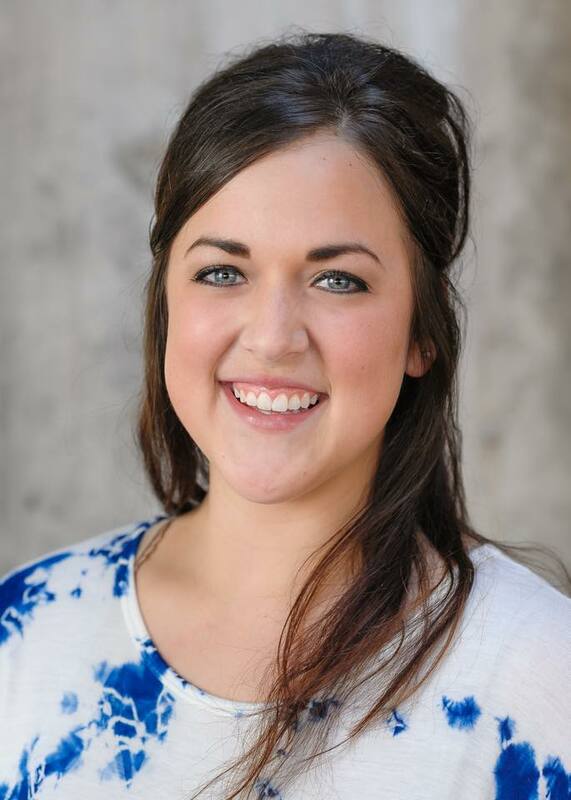 Katie enjoys planning camps and special events for the students at Just Dance. In her spare time, she enjoys traveling and reading about dance education and adaptive/inclusive dance, child development and psychology, herbalism, vegetarian cooking, and futuristic utopian societies with fatal flaws (dystopian fiction). Mandy has been dancing since the age of three. She began her training at Cenla Academy of Performing Arts under the direction of Rita Barton, later continuing her training at Just Dance under the direction of Jennifer Rachal. She has learned from professionals such as Dave Scott, Tabitha and Napoleon D'umo and Shane Sparks. She was awarded a dance scholarship by Tyce Diorio. Mandy attended Holy Savior Menard Central High School, where she participated in both junior high cheer and varsity danceline. Mandy then transferred to Alexandria Senior High School, where she danced as a Troydoll for two consecutive years. As an ASH Troydoll, she received the title of American All-Star at dance line camp. This included an invitation to dance in Italy. Mandy is a 2009 graduate of ASH. After high school, Mandy danced as a member of the University of Louisiana at Lafayette Ragin' Jazz dance team and taught hip-hop at ULL's recreational sports gym. Mandy is a graduate of Louisiana State University at Alexandria. 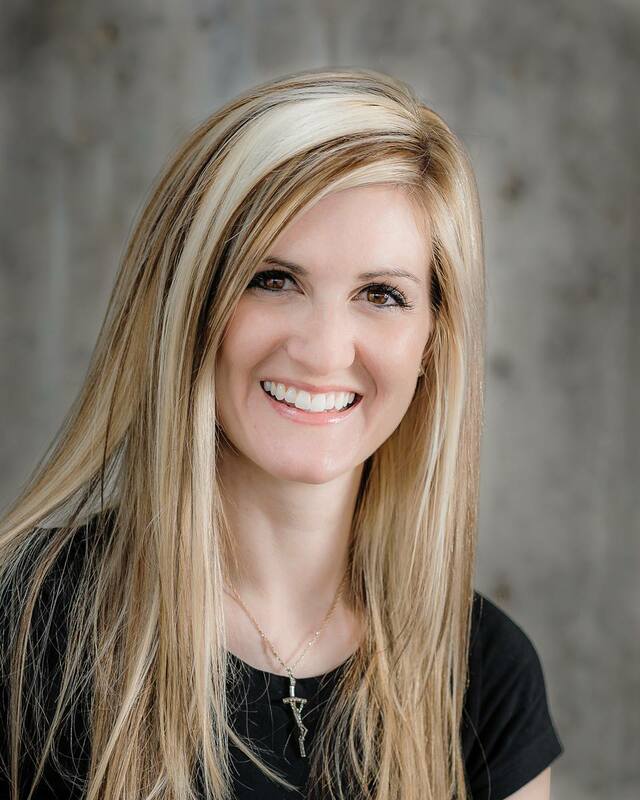 Mandy has always enjoyed choreographing dance routines for individuals, groups, and junior high and high school dance teams. 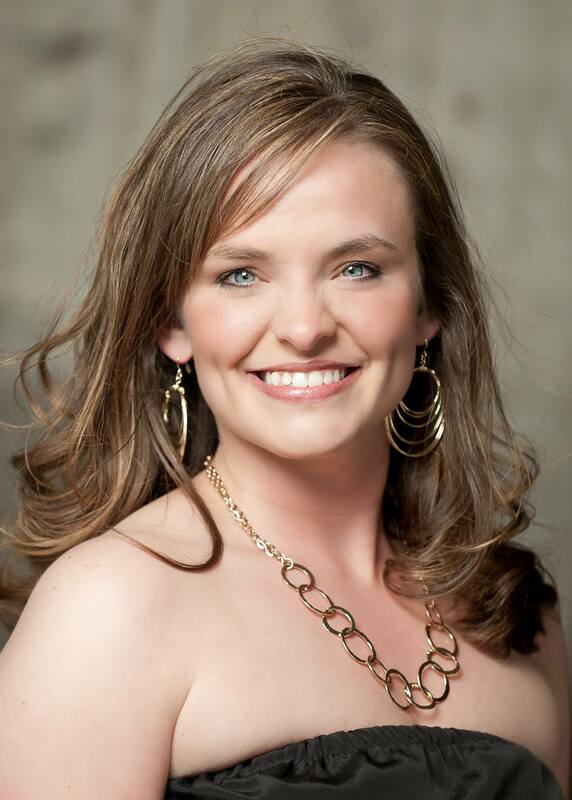 She was the talent choreographer for the first runner-up of Louisiana's 2013 Distinguished Young Women. Mandy, along with Jennifer Rachal, coached the Alexandria Senior High Troydolls danceline to a National Championship in 2013. She continued coaching the ASH Troydolls in 2015, 2016, and 2017, winning first, second, and third place titles at both the state and national level. Mandy was honored to receive the Outstanding Choreography Award at the United States Dance/Drill Team Championship in 2016. She is currently the choreographer for the LSU of Alexandria Lieutenants pomline and the ASH Troydolls danceline. For the past two years, Mandy has been a choreographer and coach for Alexandria Country Day School’s Dancing with the Stars Cenla Style fundraiser. In 2015, she coached Robert Fontane and Amy Grimes to win the Judges’ Award. In 2016, she coached Sam Mahfouz and Kristy Flynn, who won the Mirror Ball Trophy, and Todd Morrow and Mitzi Fairbanks, who won the Fan Favorite award. 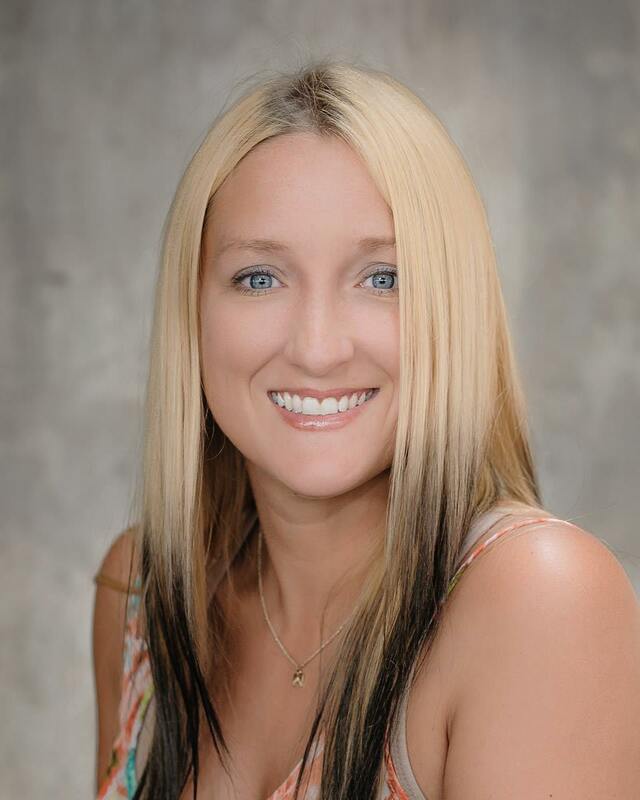 Mandy currently resides in Church Point, LA, with her husband Chase Frazier. She is thankful that her mentor, Jennifer Rachal, has given her so many opportunities, including the opportunity to teach. Dancing is something she loves to do. It is her passion and she would love to continue it for many years. Sarah is a native of Alexandria and has been dancing since the age of three. Dance became her passion at a young age and has always played a significant role in her life. Over the course of 15 years, Sarah studied a combination of ballet, pointe, lyrical, tap and jazz. She received scholarships and various other accolades for her performances. Sarah attended Alexandria Senior High School where she was a member of the ASH Troydolls for two years. She completed her high school career at Pineville High School, where she was awarded numerous dance roles during her participation in the PHS theater department. Sarah graduated from Northwestern State University with a bachelor's degree in Business Administration. During her time at NSU, Sarah continued to follow her passion for dance by studying ballet, tap, jazz, theatrical dance and practicum in dance. She also performed in many pageants and a variety of assemblies. It was at that time that Sarah found a true love for tap under the instruction of Susan Hussey. Sarah is thrilled to have the opportunity to share her love for dance during her sixth year of teaching at Just Dance. She is proud to be part of the positive contribution that Just Dance brings to the local community. Sarah looks forward to many more years of teaching as she strives to challenge, inspire, and encourage her students to work hard and never lose sight of their dreams! Nathan found his passion for dance later in life. Since childhood, he enjoyed watching tappers like Gene Kelly and Fred Astaire. Nathan wanted to dance just like they did. Sadly, in Louisiana in the 1980's, dance was not a widely promoted activity for boys. When Nathan's daughter began dance classes, Nathan's love for dance was rekindled. It took him a couple of years to realize that he wanted to tap. Nathan has spent the last few years in intense study of his passion. He initially took private tap lessons, supplementing those lessons with additional knowledge from Rod Howell, Terrence "Taps" Bennett, Eli Newsom and Mark Goodman. He was a teacher's assistant at Just Dance for two years before becoming an instructor. In 2017 and 2018, Nathan participated in RIFF: Rhythm in Fusion Tap Festival in Dallas, TX. He had the privilege of learning from tap masters Chloe Arnold, Dianne Walker, Sarah Reich, Derick Grant, Anthony Morigerato, Kaelyn Gray, Justin Lewis, Tony Merriwether, and others. Nathan enjoys translating the information and skills learned in master classes and at workshops into lessons and activities for the students in his classes. Nathan's tap influences vary widely: from the Nicholas Brothers and Gene Nelson to Savion Glover, Gregory Hines and the dancers of Rhythmic Circus. He is the founder of Cenla Tap Alliance, a local group dedicated to spreading knowledge and appreciation of tap dance, and is a member of Southern Open Rhythm Collective (SORC), a collaboration of tap dancers from the southern United States whose main goal is "to promote and advocate love, awareness, and appreciation for the art of tap dance and other forms of percussive dance across the Southern United States through performance, education, collaboration, cooperation, and inspiration." Nathan is passionate about sharing his enthusiasm and love for tap with the next generation of young dancers. Nathan is passionate about being the best possible dance educator he can be and offering dance opportunities for adults, senior citizens, and children and adults with disabilities. He is a member of the National Dance Education Organization and is currently working on teaching certifications through Rhythm Works Integrative Dance and International Dance Teaching Standards. In addition to dance, Nathan also enjoys participating in local theater productions. He likes working on props and sets for stage performances and helping backstage, making an occasional foray onto the stage itself. Nathan performed the role of Drosselmeyer in Red River Dance Theatre's production of The Nutcracker from 2009 to 2016. 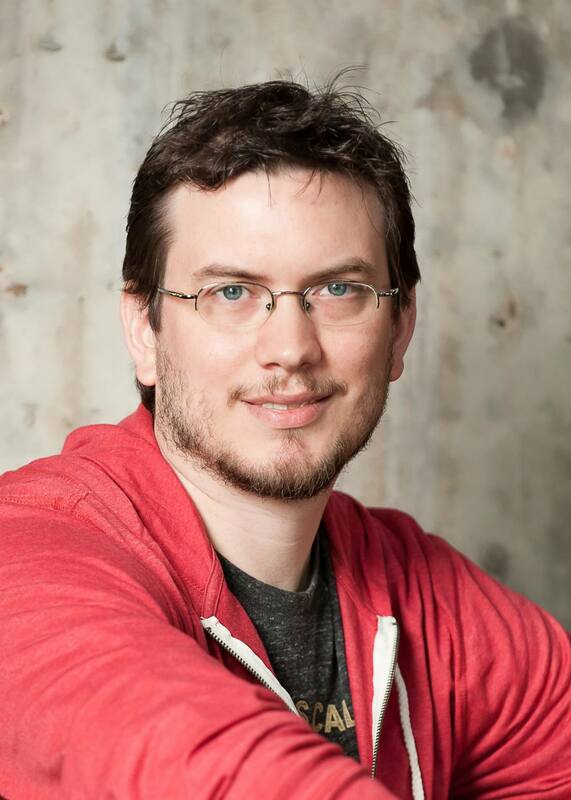 Nathan is a successful artist, web designer and developer, and graphic designer. He owns a local design company, Bedhead Creative. In his spare time, Nathan enjoys spending time with his family and his dog, drawing, traveling, watching old movies, and playing video games. Jess started dancing before she could even walk! She began formal training at the age of three at Arts of the Dance Centre in Vineland, New Jersey. She studied ballet, tap, jazz, Hawaiian, pointe and lyrical. Jess and two fellow dancers were invited to dance with the Philadelphia Ballet Academy for their performance of the Nutcracker. Jess attended Alexandria Senior High School and was an ASH Troydoll for four years, serving as Co-Captain her senior year. She won numerous awards: National Dance Alliance (NDA) All-American, NDA Drill Downs, and Universal Dance Association (UDA) All-Star - 2 years. Jess was invited to dance in the Macy's Thanksgiving Day Parade and at several bowl games. She graduated from ASH in 2005. After high school, Jess went on to dance for Louisiana Tech's Regal Blues. While on the team, she was invited to become a UDA instructor and also helped coach several junior high and high school dance teams. While in college, Jess found her passion for styling hair and decided to follow that passion to Paul Mitchell The School in Houston, where she graduated in 2009. She then moved to Philadelphia and taught at a Paul Mitchell school. 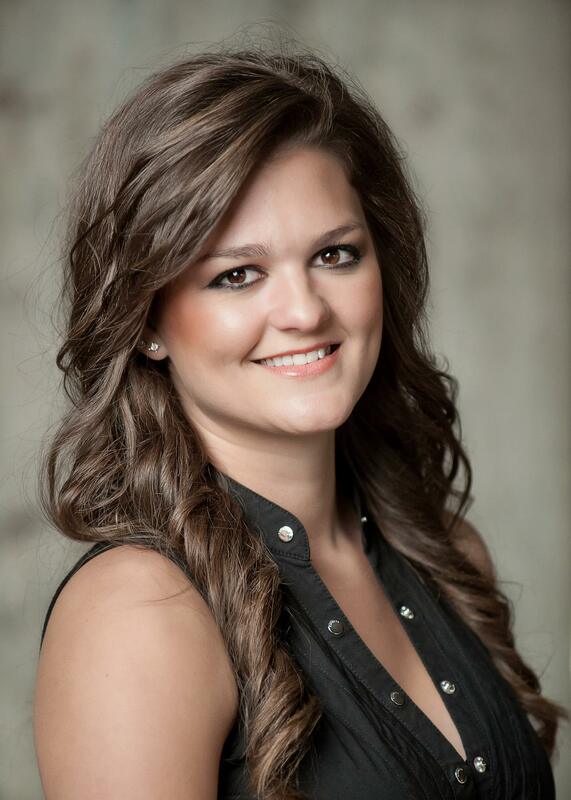 Jess has since become a National Educator for Paul Mitchell Systems. While in Philadelphia, Jess taught jazz, hip-hop and contemporary for two years at Sandie Mulie Dance Studio. As an instructor, she brought several of her students to New York City for a day of learning. Jess is currently the coach for University Academy of Central Louisiana’s danceline. She is married and the mother of two. Jess is a member of the Junior League of Alexandria and could not be happier to be part of the Just Dance family! Pam, or "Principal Pam" as she is known around the studio, is a native of Alexandria. She graduated from Bolton High School and then studied business at Louisiana State University at Alexandria. 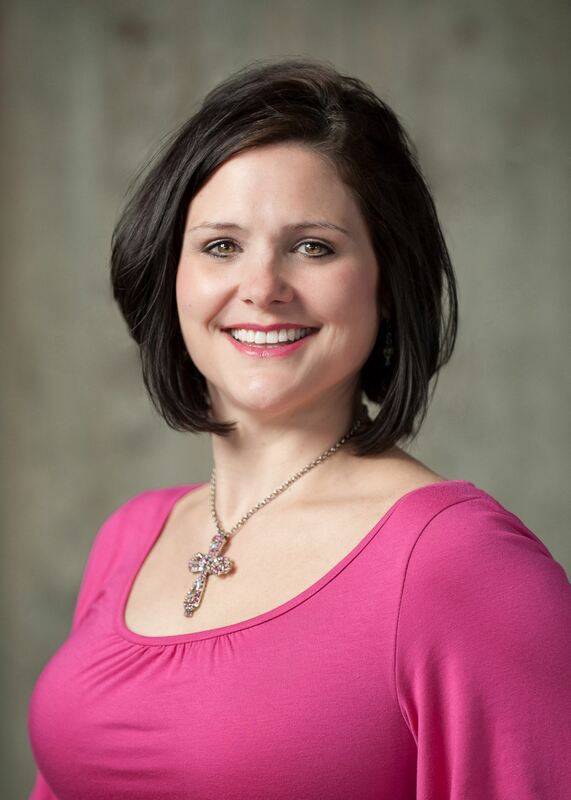 She and her husband, Paul Socia, have three amazing and talented children: Joshua, Jonathan, and Shelby. They also have two wonderful daughters-in-law, Kayla and Amber, and a sweet and adorable granddaughter, Macie. Pam is so excited that Macie has started her dance training at Just Dance. Pam loves spending time with her family and refurbishing old things. She is Just Dance's biggest cheerleader. She can be found working behind the scenes in the office to keep the studio running efficiently and to allow the staff to concentrate on their most important task: teaching the dancers. When you come to Just Dance, Pam will be one of the first to greet you with a smile. Stop by the studio today; she would love to show you around and share her love for Just Dance with you! Reghan began dancing at age two and started dancing competitively at age five. Throughout her competitive years of dance, she had the opportunity to dance in an off-Broadway show, attend summer intensives in New York and California, and perform in a music video. She was also awarded numerous dance convention scholarships. Reghan was a member of her high school dance team for four years and was named captain her senior year. Her team traveled to Walt Disney World in Orlando, FL, all four years to compete in Universal Dance Association’s (UDA) National Dance Team Championship. They placed number seven in the nation during Reghan’s senior year. After high school, Reghan attended the University of Louisiana – Lafayette where she was a member of the Ragin’ Jazz dance team for three years. The team performed for football, basketball, and volleyball games each season and also performed at one Saints professional football game each year. The Ragin’ Jazz dance team also traveled to Walt Disney World each year to compete in UDA’s College National Dance Team Championship. During her third year with the Ragin’ Jazz dance team, Reghan was an officer and help choreograph the performances for events. While in college, Reghan coached the Acadiana High School dance team for three years. She choreographed routines for pep rallies, band half-time dances, and the routines that Acadiana High School performed at their competitions, including UDA’s National Dance Team Championship. Reghan received a Bachelor of Science in exercise science from the University of Louisiana Lafayette and a Master of Science in exercise physiology from the University of Louisiana Monroe. She graduated from Louisiana College in December 2016 and currently works as Registered Nurse in the Medical Intensive Care Unit at Rapides Regional Medical Center. Reghan currently resides in Alexandria with her husband Will Littlepage. They are the proud parents of a daughter and a son. Katie began dancing at the age of three. At the age of five, she was selected to dance competitively with Dance Team 2000 under the direction of Jennifer Rachal. She became a member of the Just Dance Company in 2005. During her 16 years of dance training and performing, Katie found her life’s passion in dance. 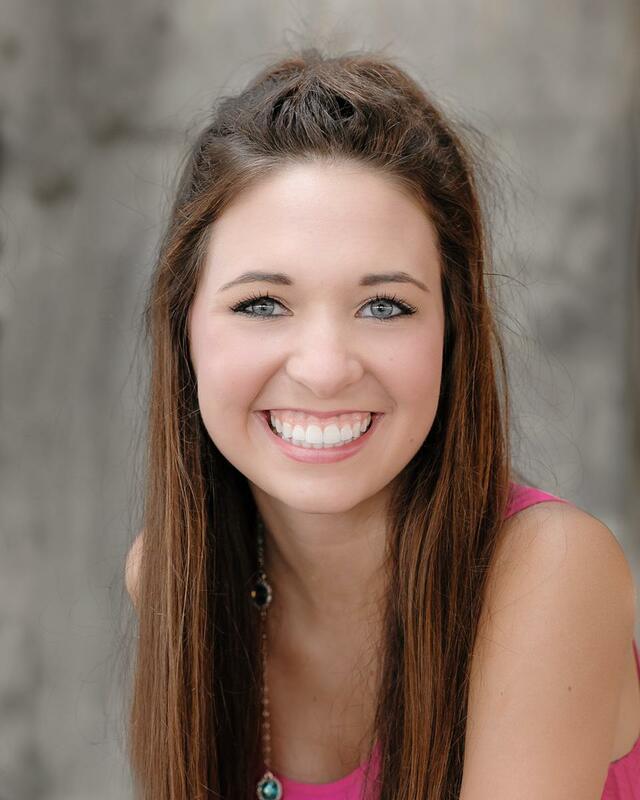 Katie is an honor graduate of Holy Savior Menard Central High School (HSMCHS), where she was a member of the Golden Eaglettes dance line. She was a four-year letterman in dance and served as dance line co-captain (junior year) and captain (senior year). As a member of the Golden Eaglettes, Katie was selected and invited to perform around the world in places like Hawaii; Miami, FL; Houston, TX; New York, NY; and London. She has also been invited to perform in several collegiate bowl football games and parades. While attending HSMCHS, Katie received many awards, including the High Kick Award and two Outstanding Leadership Awards. She was a three-time American All-Star and a Universal Dance Association (UDA) All-American. Most recently, Katie was also chosen as a UDA Staff Nominee. As a member of the Just Dance Company, Katie has pursued her dream of performing as well as competing. She has enjoyed the opportunity to study many forms of dance and compete in jazz, tap, ballet, and hip-hop. Katie has taken numerous workshops and master classes and has studied with some of the world’s most influential dancers and instructors, including Frank Hatchett (Broadway Dance Center), Tony Bellissimo and Tiffany Maher (Tremaine Dance), and Chris Koehl and Melissa Sandvig (So You Think You Can Dance). A highlight of her dance career was being invited to perform in the Macy’s 2012 Thanksgiving Day Parade as a “Spirit of America” dancer. Katie was a teacher’s assistant at Just Dance for nine years and was trained as an apprentice teacher by her mentors Lissie Theriot and Jennifer Rachal. 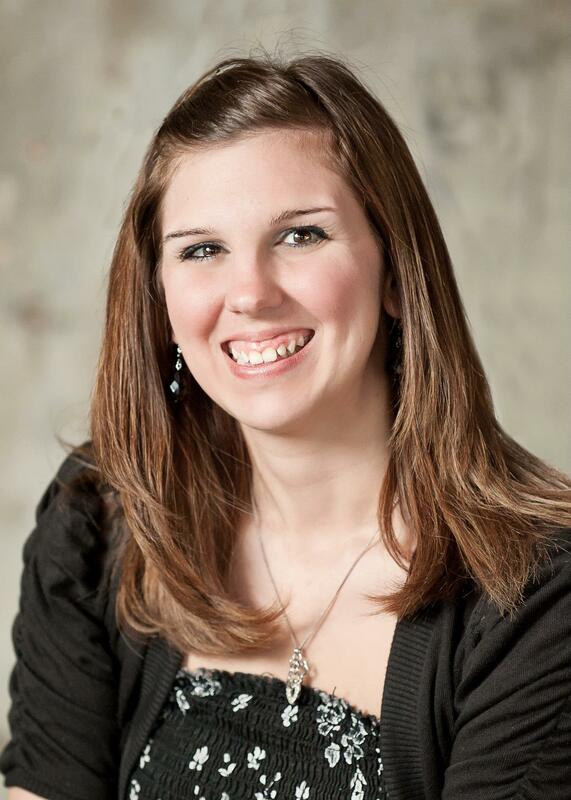 Katie is a graduate of Louisiana State University of Alexandria and teaches Pre-K at Our Lady of Prompt Succor School. She is a former member of the LSUA pom line and is the former coach of the Brame Gator Girls dance team. Having the opportunity to be an instructor at Just Dance is the fulfillment of one of Katie’s lifelong goals. She is excited to continue to explore her love for dance and to continue working with children. 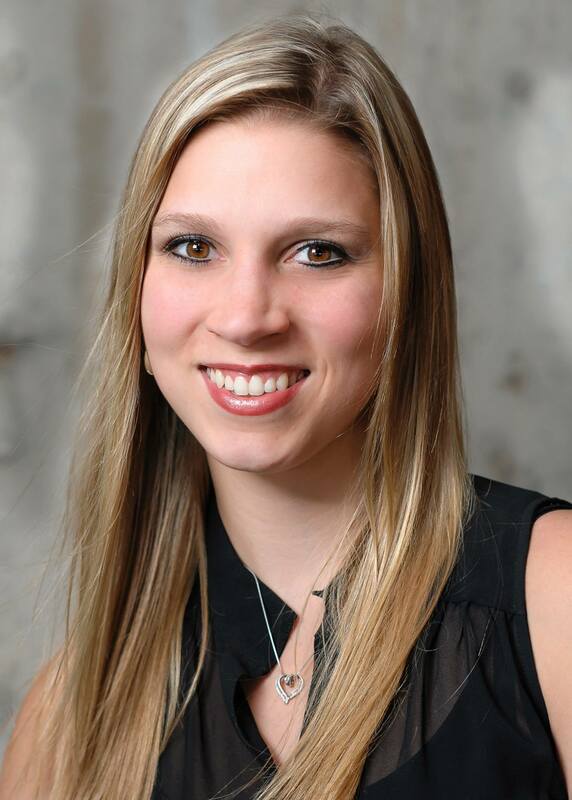 Katie hopes to instill a passion for dance in each of her students so that they may have the same types of opportunities and wonderful experiences that dance has afforded her. Candace, a native of Dry Prong, began dancing at the age of three, first with Michelle Friede at The Dance Experience and then at Vicki’s Dance Centers. 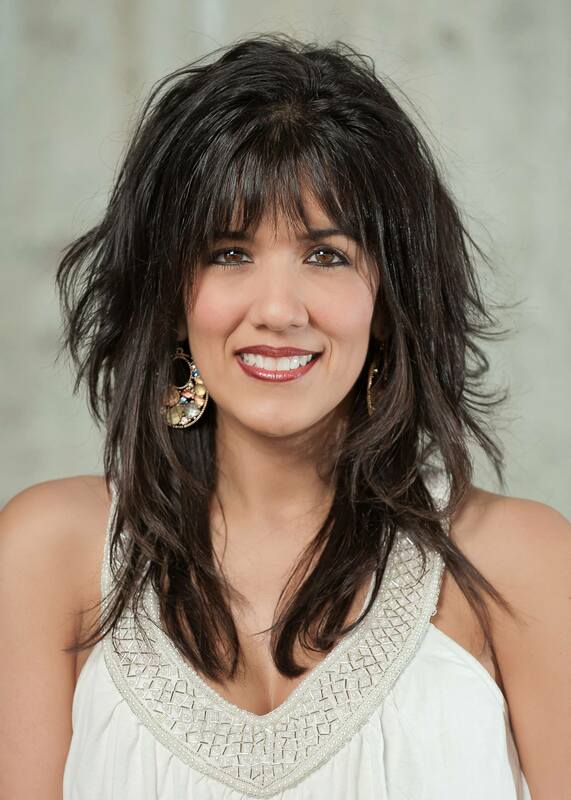 She danced competitively with Dance Team 2000 at Vicki’s Dance Centers under the direction of Jennifer Rachal. Candace is a graduate of Grant High School, where she was a member of the Golden Girls dance team for four years. As a member of the Golden Girls, Candace had the opportunity to perform at Disneyland Paris and at the Hula Bowl half-time show in Maui, HI. Candace has a Bachelor of Science degree from the University of Arkansas and an associate degree from Northwestern State University, where she was a member of the Purple Pizzazz pom line. Candace was honored to perform under the direction of Jennifer Rachal as a member of the Rangers pro-am indoor arena football team’s cheer/dance team The Rangerettes. Kim began her dance training at age three at Rosie’s Dance Center in Kinder, LA. After moving to Pineville, she danced at Dance by Deborah for ten years. During her years of studio dance, Kim competed several times per year and attended many dance conventions, where she had the opportunity to train with instructors such as Mia Michaels. Kim attended Pineville High School where she was a member of the Dixie Dancers dance line her sophomore through senior years. She was co-captain of the Dixie Dancers during her senior year. After high school, Kim attended Louisiana Tech University. She was a member of the Regal Blues dance team from 2004 through 2009 and was captain during her last two years. As a member of the Regal Blues, she attended Pro Dance Camp and learned from instructors and choreographers like Tabitha and Napoleon D’umo (So You Think You Can Dance and America’s Best Dance Crew). As captain of the Regal Blues, Kim helped choreograph and perfect routines. In 2007, she was invited to become a Universal Dance Association (UDA) instructor. During college, Kim coached the Choudrant High School dance line from 2005 to 2007. She also choreographed a hip-hop competition routine for Brame Junior High School’s dance line, which won first place at the state level. After graduating with a Bachelor of Fine Arts degree in Communication Design, she coached the Regal Blues for a year before moving back to Pineville. Kim is married with three daughters and a son and teaches first grade. She was recently awarded a Master of Arts in Teaching, Early Childhood Education from Northwestern State University. She finds inspiration in watching dancers improve themselves, perfect their skills, and meet their goals. Kim loves that moment when everything falls into place – when the dancers and the choreography come together so perfectly and beautifully. While she loves performing for an audience, Kim also enjoys dancing for her own enjoyment. Some people sing in the car... Kim dances! Sarah began dancing at the age of two at Vicki’s Dance Centers in Alexandria, LA. At age five, she joined Dance Team 2000 and began dancing competitively under the direction of her mother, Jennifer Rachal. In 2005, Sarah became a member of The Just Dance Company Dancers. She performed and competed with Just Dance for nine years. Sarah is a graduate of Alexandria Senior High School, where she was a member of the A.S.H. Troydolls. She was a four year letterman in dance and served as co-captain her last two years of high school. Sarah competed with the A.S.H. Troydolls in Orlando, Florida, winning national titles both her junior year and senior year. During high school, she was invited to perform in Hawaii, New York, and London. In 2012, Sarah was honored to receive an invitation to perform in the Macy’s Thanksgiving Day Parade in New York. She traveled with 16 other Just Dance students to perform with the Spirit of America Dance Stars. Over the years, Sarah has trained with some of the world’s top choreographers and instructors including: Frank Hatchett, Mia Michaels, Dave Scott, Marty Dew, Tyce Diorio, Brian Friedman, Wade Robson, Tony Bellissimo, Melissa Sandvig, and others. In August 2015, Sarah completed The Ballet Blog / Perfect Form Physiotherapy’s Level I Teacher Training course taught by Lisa Howell. The course is designed to give dance teachers a deeper insight into the mechanics of dance and the skills to correct technique issues and prevent injuries. Sarah resides in Alexandria, LA. She is married to Timothy Foreman, is a graduate of Pineville Beauty School, and currently works as a stylist at Mirror Image Salon. Sarah is the proud mother of three: daughter Miley, son Canaan, and step-son Bentley. You may now pay your tuition online. Tuition payments ONLY are accepted through our Paypal account. Recurring billing is a great way for busy parents to keep up with tuition payments! If you are interested in recurring billing, please speak with Mrs. Pam in the studio office. Classes begin on August 5, 2019. Wee Dance is a 45 minute class that promotes bonding between children ages 18 to 35 months and their adult caregivers. This class provides an introduction into the dance studio setting in a relaxed environment, utilizing a structured yet fun and creative approach. Wee Dance incorporates the use of music, movement, simple acrobatics, partnering activities and props to encourage the development of rhythm, coordination, balance, body awareness, agility, control, and spatial awareness. Age appropriate activities help build self-confidence and increase social, communication and listening skills. One adult caregiver - mom, dad, a grandparent or nanny - is required to participate with each child for the duration of the class. Our Plié & Play program (formerly Teeny Tiny Dancers) is uniquely designed to meet the needs of children ages 3 & 4. Through the use of creative instructional methods, children are introduced to the foundational skills of dance. Our Plié & Play pre-tap and pre-ballet curriculum assists children on their journey to developing rhythm skills, musicality, motor skills, coordination, body awareness, and self-control. While creativity and self-expression are highly encouraged, we also place an emphasis on sharing, team participation, and classroom etiquette. Our Plié & Play program promotes learning, focus, and self-confidence in a fun, safe environment. This is a great combination class that we strongly recommend for our 5 to 8 year-olds. This class will establish a solid foundation in both tap & ballet and prepare students to enter our tap and/or ballet program by the time they reach the age of 9. Basic skills, technique and terminology of jazz are introduced and mastered. This class will lay the foundations of strength, flexibility, balance and agility - the backbone of a strong dancer. A continuation of skills, technique and terminology from Apprentice Jazz. This class will take students to the next level of strength, flexibility, balance and agility. A continuation of skills, technique and terminology from the two previous levels. Dancers will increase flexibility, balance and agility as well as develop stronger leg and core muscles. A continuation of skills, technique and terminology from the three previous levels. Focus is placed on mastering more advanced moves as well as the ability to learn and execute choreography at a faster pace. A continuation of skills, technique and terminology from the four previous levels. Choreography is technical, strong and bursting with passion and energy. Students must know basic tap terminology and be able to execute basic tap movements at the barre as well as center floor to enter into the first course of our tap program. Student progression into the next course will be based on teacher recommendation. Tap I - Emphasis on musicality, clarity of tap sounds and proper technique. Tap II - The level of technical skills will escalate as well as speed. Tap III - Our most advanced level of tap. Mastery level of skills and technical proficiency increase. These classes are relatively fast-paced and challenging and allow students to emphasize their creative rhythmic talents. Hip-hop encourages students to create their own style of expression to music. This style of dance is not as thoroughly structured as most dance subjects. Therefore, all students are required to have previous experience in jazz or hip-hop before enrolling in this class. Basically, hip-hop should be viewed as a supplementary class for an experienced dancer. This class is a great option for students age 7 and up looking to expand their creative dance knowledge and improve their performance skills. Stories in Motion will expose dancers to a variety of dance genres: creative dance, ballet, jazz, tap, lyrical, contemporary, and more. Students will explore dance concepts, improvisation, and music theory while learning to express themselves and tell stories through the art of dance. Stories in Motion students will learn how to choreograph in collaboration with other students and will have the opportunity to perform their original choreography at local events throughout the year. To participate in the Stories in Motion class, dancers must be enrolled in at least one additional dance class at Just Dance. In order to prepare for performances, limited extra practices may be added. To continue in the class, each student must adhere to the class attendance policy. In this class, students will learn the basics of musical theatre: history, stage terminology, prop-making and usage, using costume pieces as props, set design and creation, stage makeup, and more. Students will review basic tap, ballet, and jazz steps as they learn choreography from iconic Broadway musicals. To participate in Musical Theatre, dancers must be enrolled in at least one additional dance class at Just Dance. This class does not have an end-of-the-year performance in the Just Dance Revue. The foundation of dance, the center and basis for every subject in dance. Without the technique and discipline learned in ballet, none of the other subjects would be possible. Ballet teaches control, stability, poise and grace - characteristics every dancer should assume. Ballet I - Basic principles of ballet are taught in this class. Positions of the feet, arms and head are reviewed every week. The dancer learns his or her barre routine, which is continually rehearsed to instill the above principles. Center floor and across the floor work are also part of this class. The dancer is able to take what he or she has learned at the barre and apply it to the routines without using the barre. Ballet II / Pointe - This is a continuation of the Ballet I class. Barre work is done every week with the emphasis on challenging the dancer's speed and memory. Dancers are expected to be able to perform everything learned at the barre in their center floor routines, doing so with grace and poise. This class is taught at a faster pace than the beginner class. Dancers are evaluated by the teacher for placement for pointe work. For dancers who are ready to begin pointe, fundamental techniques of pointe are taught. The dancer is trained in the theories of balance and how to use core muscles to drive movement. Ballet III / Pointe - This is a continuation of the Ballet II class. Barre work is done every week with the emphasis on challenging the dancer's speed and memory. Dancers are expected to be able to perform everything learned at the barre in their center floor routines, doing so with grace and poise. This class is taught at a faster pace than Ballet II. Ballet III-level pointe is a continuation of beginner pointe, with the expectation that the dancer has mastered balancing and understands proper use of core muscles. Our Strengthening + Conditioning for Dancers class is perfect for students age 9 and up looking to improve their technique and strengthen their core muscles. Participants will develop coordination, balance, and alignment while improving muscle memory and decreasing their risk for injury. S+C for Dancers is taught by a Progressing Ballet Technique Certified Teacher who incorporates PBT exercises and stretching techniques into every class. While some of the exercises presented are grounded in ballet technique, this program has huge benefits for students of all styles of dance. This class teaches dancers to think on their feet and learn to dance from the heart. Dancers are able to interpret music and dance according to how the music makes them feel. Across the floor work is performed so the dancers can work on advanced leaps, jumps and turns. A solid foundation in ballet is required for this class. This class combines the strong, controlled legwork of ballet with modern dance's emphasis on the torso. Contemporary dance originally borrowed from modern, jazz, and classical styles but now incorporates elements of many different styles of dance. The choreography may be abstract or narrative. Contemporary dance employs the use of contract-release, fall and recovery, floor work, and improvisation. Dancers will become accustomed to working lower to the floor and having a more grounded presence. They will also become familiar with changes in rhythm, speed, and direction, which results in greater versatility as a dancer. Please call the studio office for questions regarding fitness level, previous dance experience requirements, recommended shoes/equipment, and pricing for adult classes.